Hi, I'm brand new to the 5Mods community. I was browsing through the tanks section today and I thought, "You know? That old Nintendo game called Blaster Master had a really awesome tank that kinda mimics several actions already in GTAV. 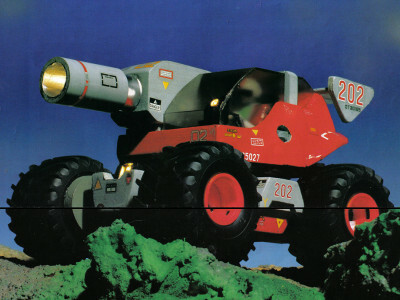 I wonder if someone could make Sophia 3rd" The tank rides on 4 oversized offroad tires. It swivels. It elevates and lowers the main cannon. It can jump just like several vehicles that are already in the game. You can toggle between main gun, heat-seeker and barrage. About the only thing it could do in the NES game that might be an issue even for the mod community is the odd ability to stick to walls and ceilings with its tires. Molecular bonding? No idea. Anyway... I thought I'd just toss out the idea for you talented modders to toy with. Can we have Sophia 3rd? Maybe even a suit that matches the one for the driver in the old game? That'd be sick! The 80's ruled!